Kelsey Creates: Giveaway Winner, and another giveaway! Thanks so much for the giveaway and have a great wedding. Love those fabrics - I need more red. Thanks for the chance to win! Congratulations to Karrie and thanks for another giveaway! Have a great time at your BIL's wedding! 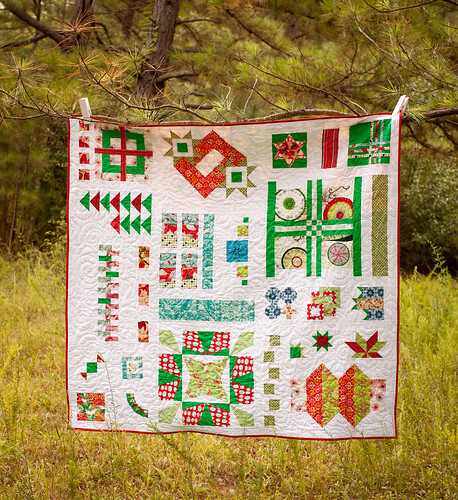 Gorgeous quilt - I love the variety of each block all put together - very visually pleasing! Yay I am already a happy follower :) You r quilt is gorgeous! This quilt is beautiful. Thanks for sharing. How pretty! Thank you for a chance to win. I am a follower with Google Reader. Great quilt! The fabrics are gorgeous and using the white background makes them pop! Loved to win :) thanks! Great sampler - lots of different techniques in it! These red and pink fabrics are so rich! I'd love to play with them. and that gift develop your choices to get.